I first met Ezekiel Raui in 2013 when I was asked to visit Taipa Area School, in the far north, near Kaitaia. Unbeknown to me then, Ezekiel had lost five of his friends to suicide in less then three months. Ezekiel changed the way I looked at mental health within our communities. His ability to effectively communicate what he considered to be happening in his community left me astounded. His understanding of what was required to combat those problems was intelligent, intuitive, and practical1. 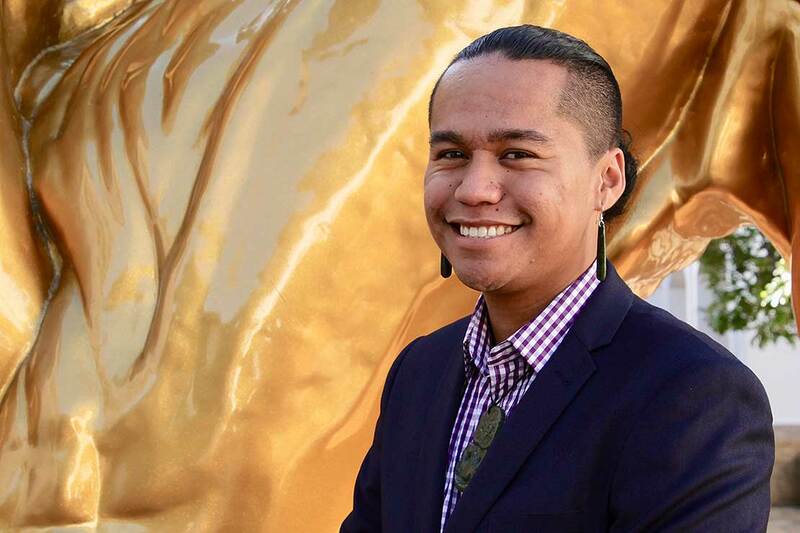 His desire to find a solution contributed to Tu Kotahi (stand tall) a national whole-school youth suicide prevention program, currently being evaluated by the Ministry of Health and the Ministry of Education. Over the past four years I have watched as Ezekiel has gone from strength to strength in his quest to understand and formulate better methods of understanding and communication between youth and their peers, youth and adults, and the continuing representation of youth in the wider community. Ezekiel accompanied myself and the Key To Life team to the 2016 World Indigenous Suicide Prevention Conference Turamarama ki te Ora, in Rotorua. Over three days Zeke spoke to adults and youth, Kaumātua (elders) and Rangatira (chiefs) – relaying his story of overcoming adversity and marginalisation and succeeding in his quest for a better understanding of youth in Aoteoroa New Zealand. Ezekiel has quite simply done more than someone twice his age could achieve. His pursuit of personal development through community-based initiatives resulted in him being selected as one of four New Zealand Māori ambassadors to attend the 2015 Inaugural White House Tribal Leaders conference hosted by President Barak Obama and First Lady, Michelle Obama2. He was awarded the Inaugural Matariki Young Achievers Award3 for 2016. Ezekiel Raui is an outstanding young man who genuinely cares about the wellbeing of youth in this country. He is only at the beginning of his life. He has so much left to achieve. Therefore, I have no hesitation whatsoever writing of Ezekiel Tamaana Raui as a Māori Leader.